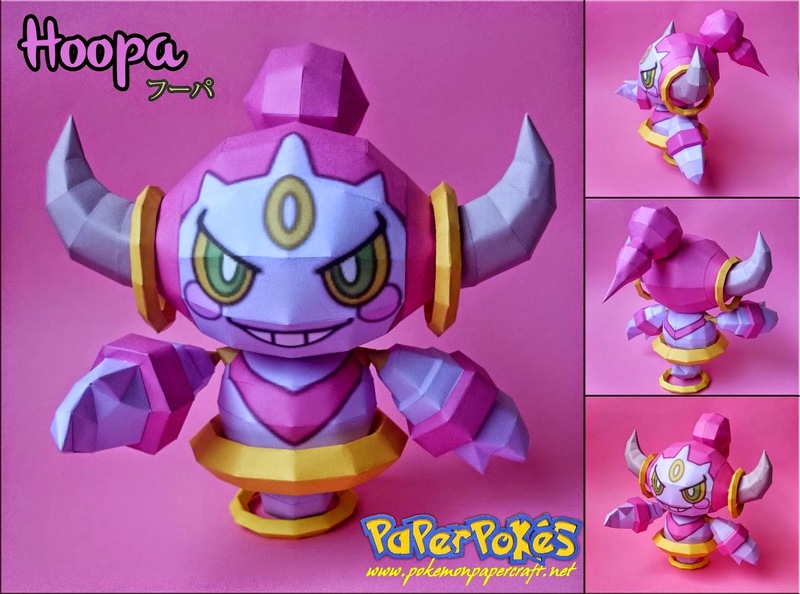 Hoopa is a dual-type psychic/ghost Mythical Pokémon and is not known to evolve to or from any other Pokémon, It has an alternate form which it changes into by using the Prison Bottle. 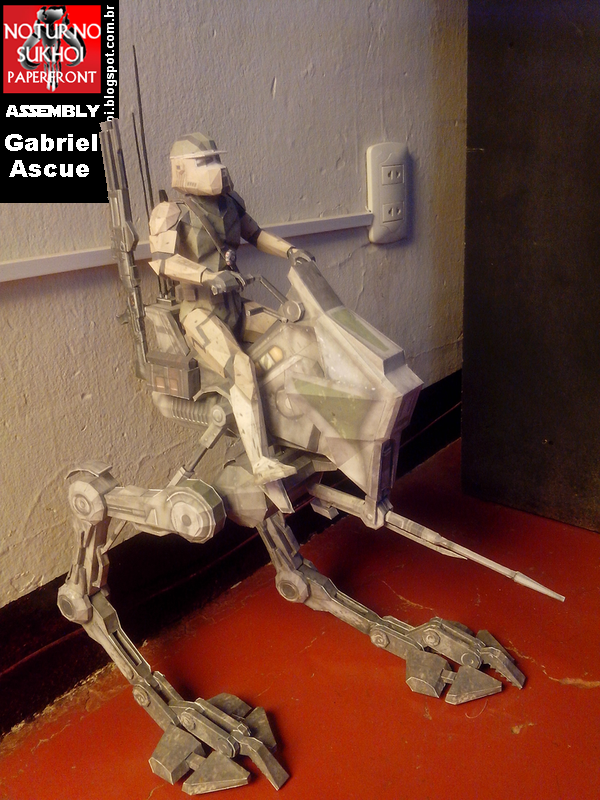 An AT-RT or the All Terrain Recon Transport, was a one-man bipedal walker for reconnaissance and patrolling first used by the Grand Army of the Republic during the Clone Wars. 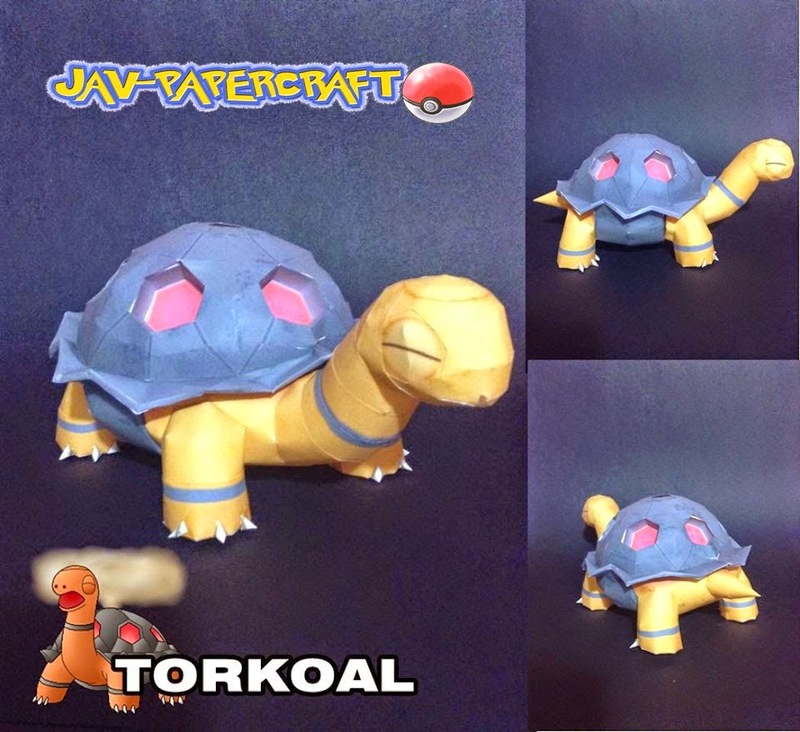 Torkoal is a fire-type Pokémon. It is not known to evolve into or from any other Pokémon. 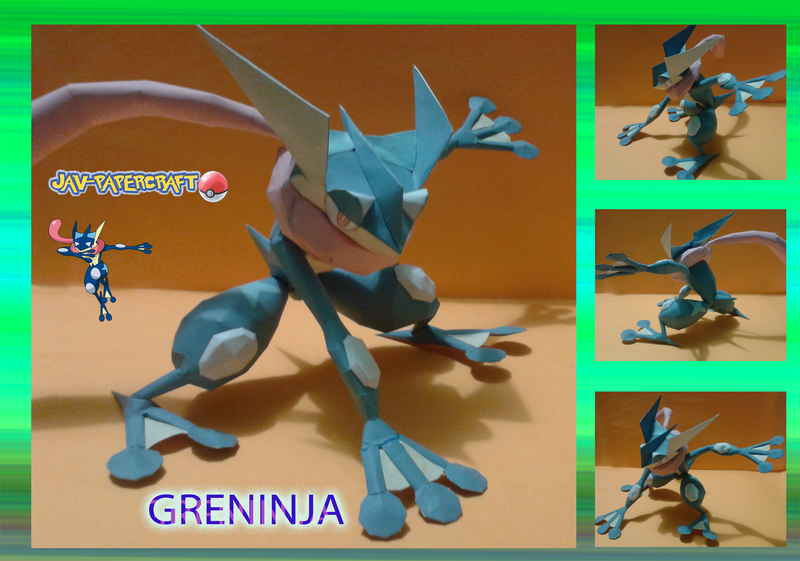 Greninja is a dual-type water/dark Pokémon that evolves from Frogadier. It is the final form of Froakie. Olaf is an enchanted snowman and a major character in Disney's 2013 animated feature film Frozen. 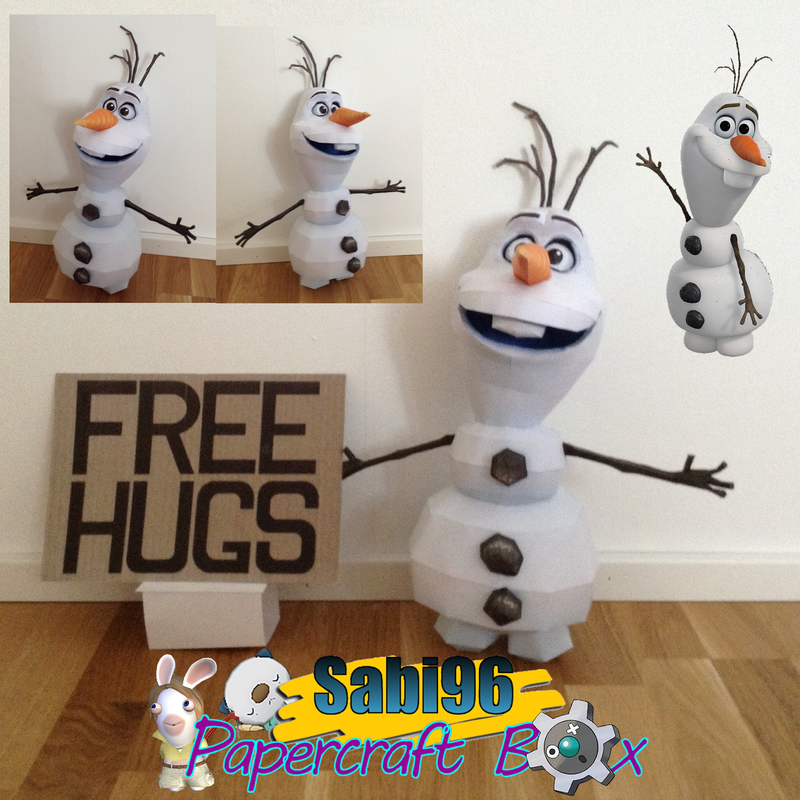 This papercraft model from Sabi has 10pages of parts and stands at about 47cm tall. 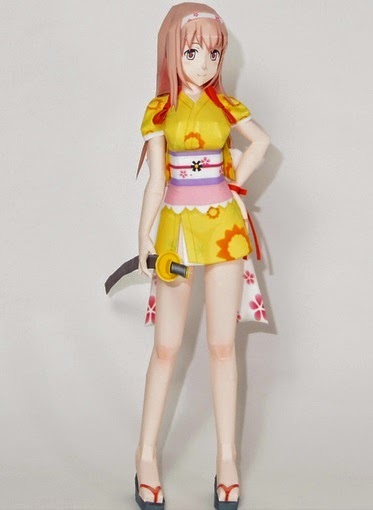 Here's a character from the MMORPG Onigiri Online. 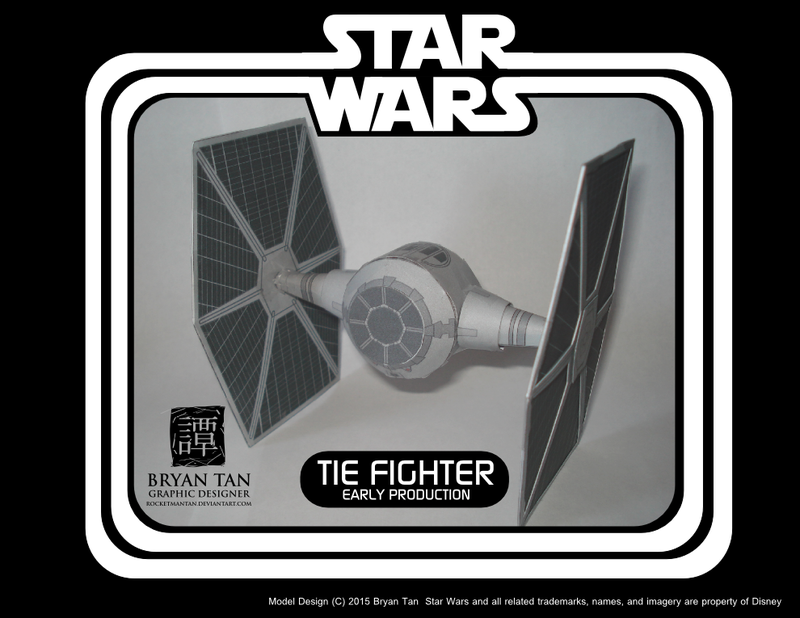 An early production type TIE Fighter from the 3D CGI animated television series Star Wars Rebels. Model by Bryan Tan. 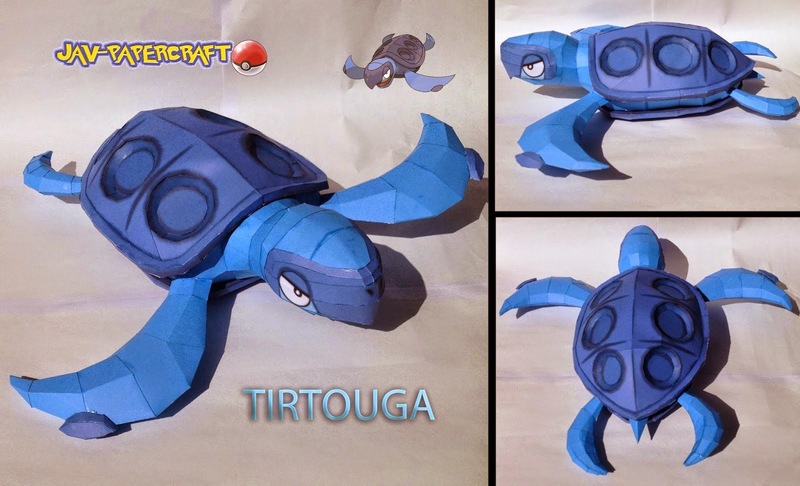 Tirtouga is a water/rock Fossil Pokémon. It is resurrected from a Cover Fossil and evolves into Carracosta. 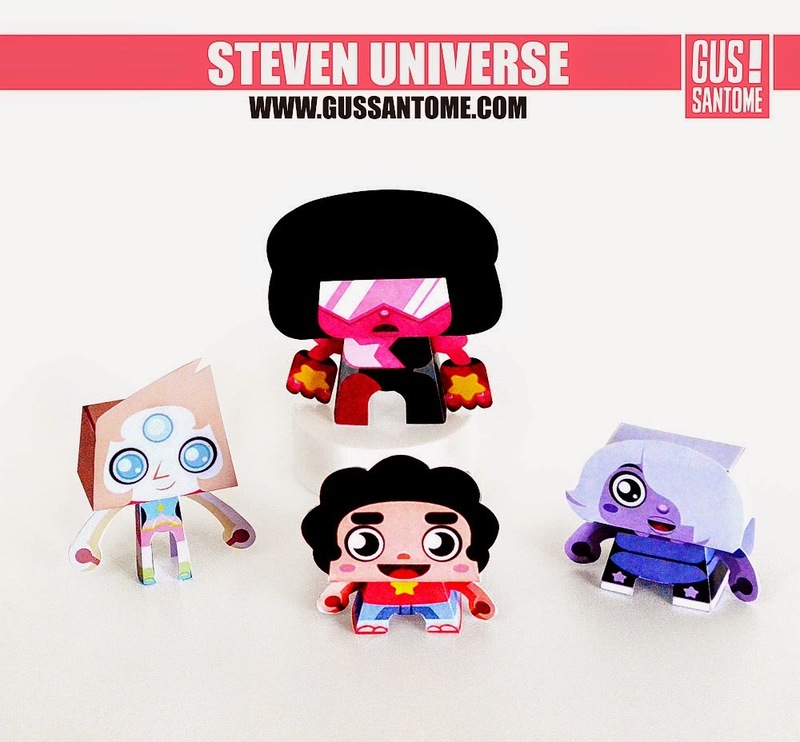 Gus Santome has created some paper toys from Steven Universe, an American animated television series created by Rebecca Sugar and produced by Cartoon Network Studios. 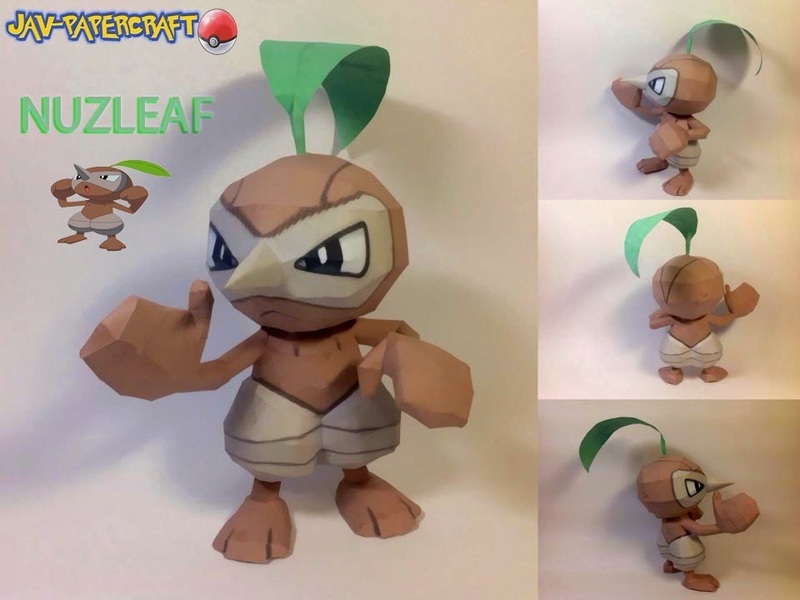 Nuzleaf is a dual-type grass/dark Pokémon that evolves from Seedot. Its final form is Shiftry. 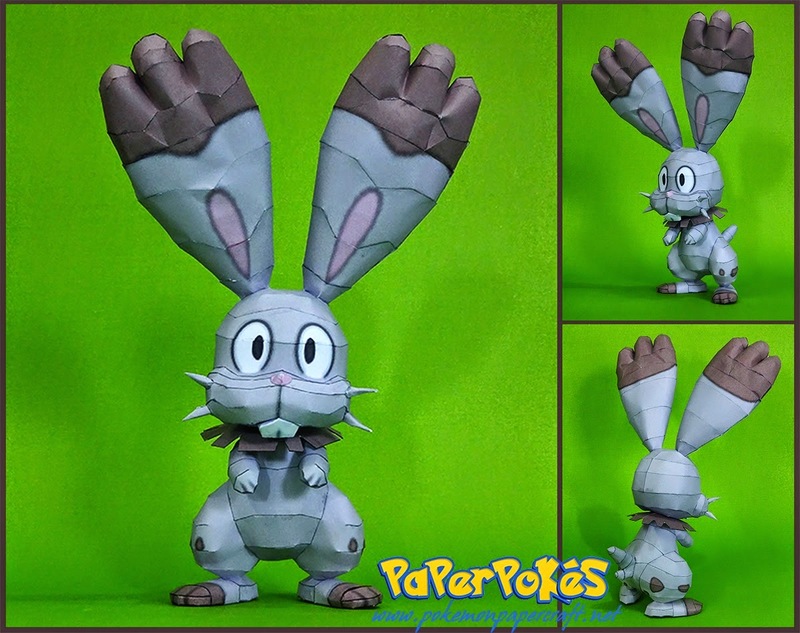 Bunnelby is a normal-type Pokémo that evolves into Diggersby. 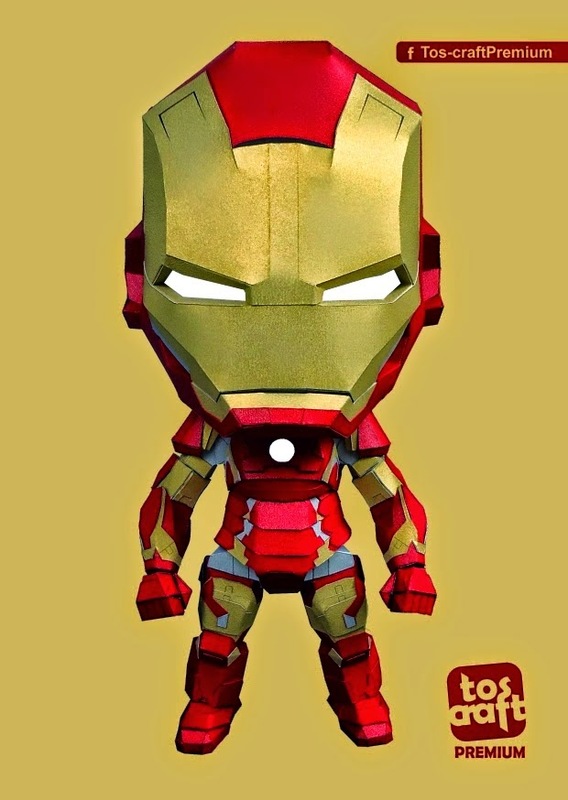 Tos-craft has just made this highly-detailed Iron Man Mark 43 papercraft available for free. 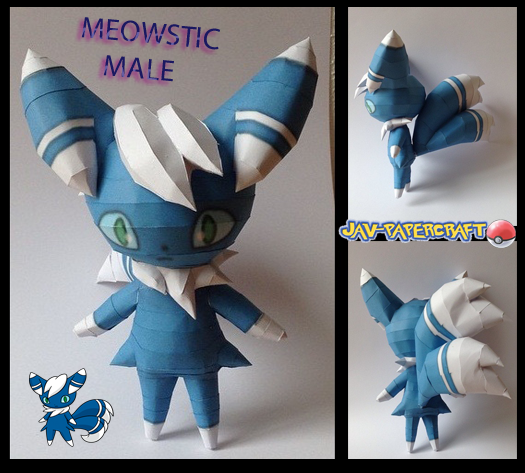 A male version of Meowstic, a psychic-type Pokémon that evolves from Espurr.